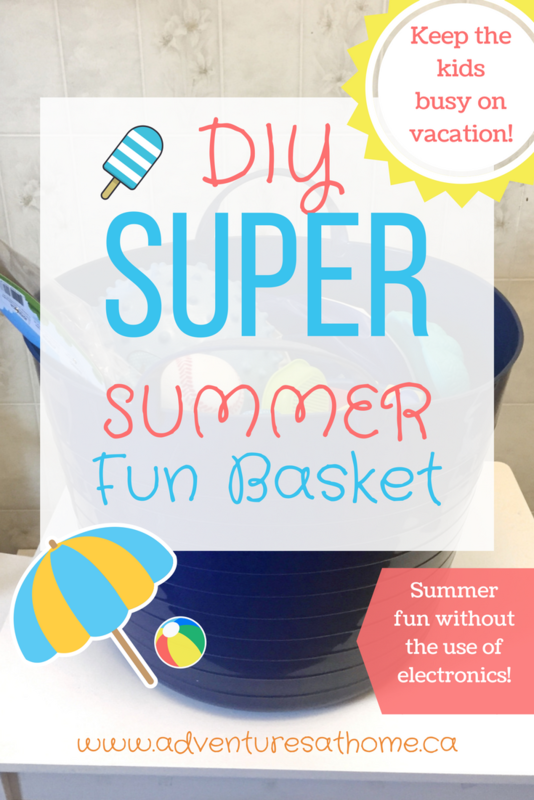 Summer Vacation Series #1- The Super Summer Fun Basket! Hi everyone, and welcome to the first post in my Summer vacation series! I hope you're all having a great Summer so far! Last year I was looking for a simple storage solution for my son's smaller outdoor toys. 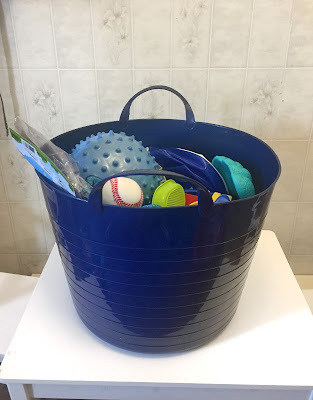 I came across these large rubber baskets with handles at Walmart and it was perfect! I also use one in my toddler's room as a laundry basket- I love them! Since they're rubber, they are also really easy to wipe clean. Every year we go camping in a little beach town, and always bring an abundance of sand toys and things to keep him occupied. This year, since we are going with another family, I decided to create the "Super Summer Fun Basket" to fill with things to keep the kids occupied. 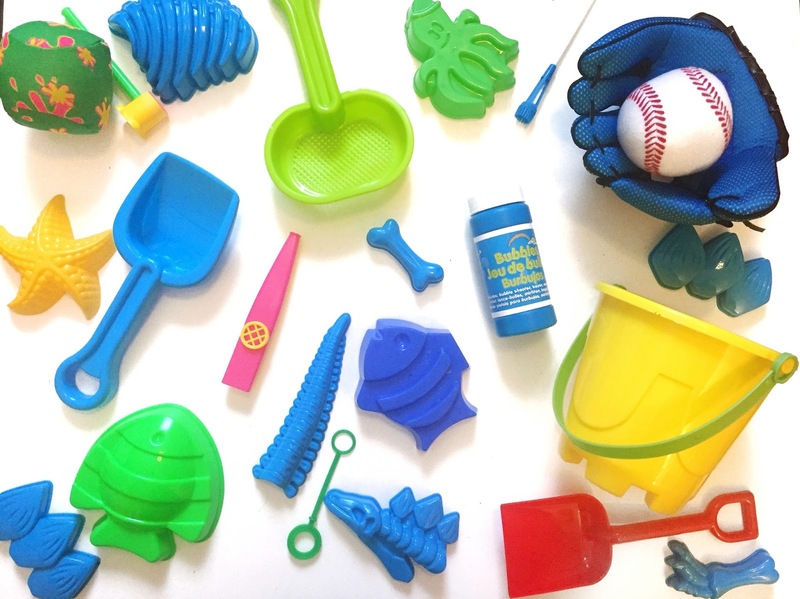 When we go to the beach, the beach toys will be removed from the basket and taken to the beach in a large mesh bag. I think this basket would also be great for taking to the cottage, leaving on the deck at home, etc. I tried to think of items that will keep them busy at the campsite, as well as at the beach. Here are the items I am including. The kid's ages are 3 and 5. 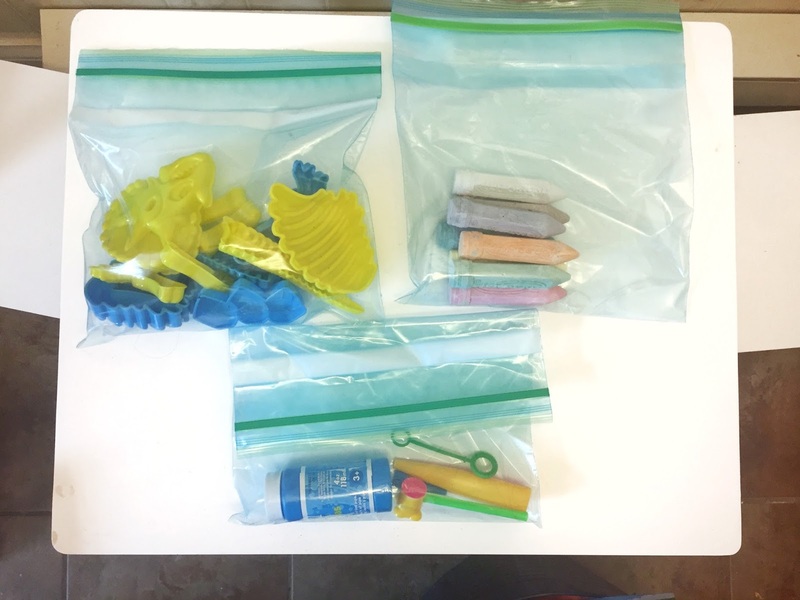 I have separated the dinosaur sand toys, bubbles and sidewalk chalk in large Ziploc bags to keep those items together. You can customize the basket to include age appropriate toys for your child's age. Some other fun ideas to add would be skipping ropes, water guns, a kite, etc. Basically, the idea is to have items handy to keep the family entertained without the constant use of electronics. I love the internet (obviously), but sometimes, like while camping or at the cottage, it's nice to just have old fashioned family fun. 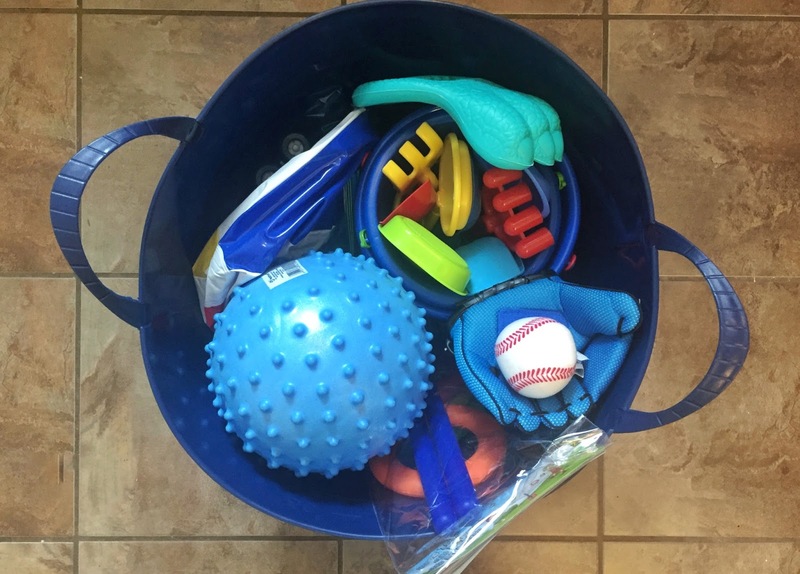 Comment below and tell me what YOU would include in your Summer Fun Basket! This is such a good idea! I feel as if every time we leave the house to go somewhere fun I am trying to round up toys lol. Great idea to put them all in 1 basket! Thanks! It makes things so much easier! Those baskets are great. I just picked one up to collect weeds in my garden. W\This is definitely a great way to use them! This really is a super summer fun basket! I need to make one for my kids to play! Love this idea, but also love that you use them as laundry baskets. I never thought of that and always just throw their clothes in mine! This is a great idea, we use those baskets for our laundry. Our daughter is 15 months old, in her basket I would have a bucket and spade, building blocks, books and a bubble machine. building blocks is a great idea!